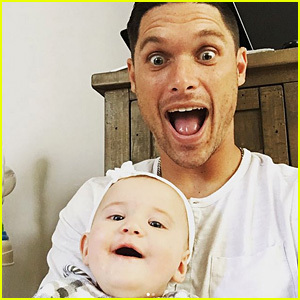 Chris Hogan's Wife & Kids – See Cute Family Photos! New England Patriots wide receiver Chris Hogan is playing in the 2018 Super Bowl later today – so lets take a moment to meet his adorable family! The 30-year-old athlete is married to Ashley Boccio, a doctor on Long Island. The couple reside on New York’s Long Island, despite Chris working in Massachusetts. In March of 2017, they welcomed twins: Parker and Chase. Chris often posts photos of the kids on Instagram and you can check out the pics in the gallery!